We had a great football team when I was in high school and it was always fun to watch! Throughout my high school years I rarely missed a football game at home or away. I loved everything about the football games and still love them to this day. The lights, the cheers, and the band playing in the bleachers. It helped that we had a great team, but it was the memories made that counted the most. Another great thing about football games is celebrating after the game with post game snacks. 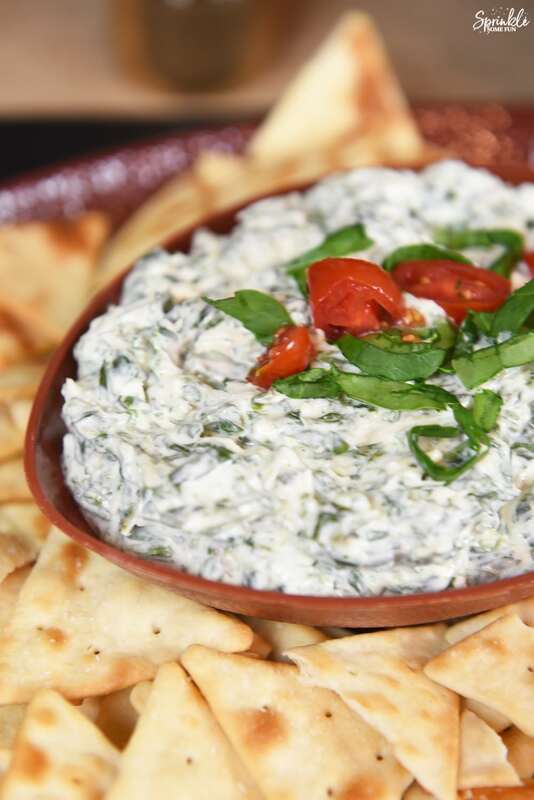 I made this Easy Garlic & Herb Spinach Dip the other day and thought it was the perfect post-game snack for high schoolers. 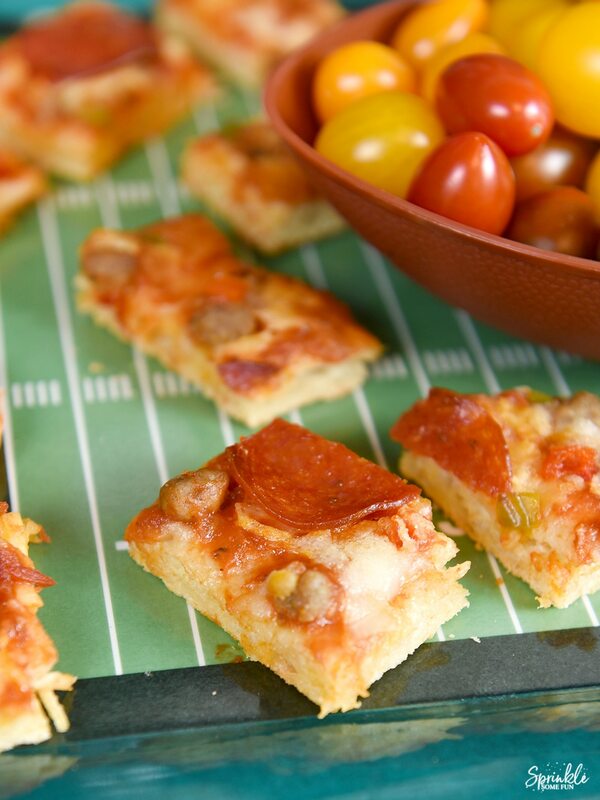 It’s easily made in 10 minutes and goes great with other post-game foods like Tony’s Pizza. We love the taste of Tony’s Pizza which has been serving authentic pizzeria style pizza for over 50 years. The pizzeria recipe gives Tony’s Pizza a taste that’s as delicious as it is authentic. It’s also made with 100% real mozzarella cheese. 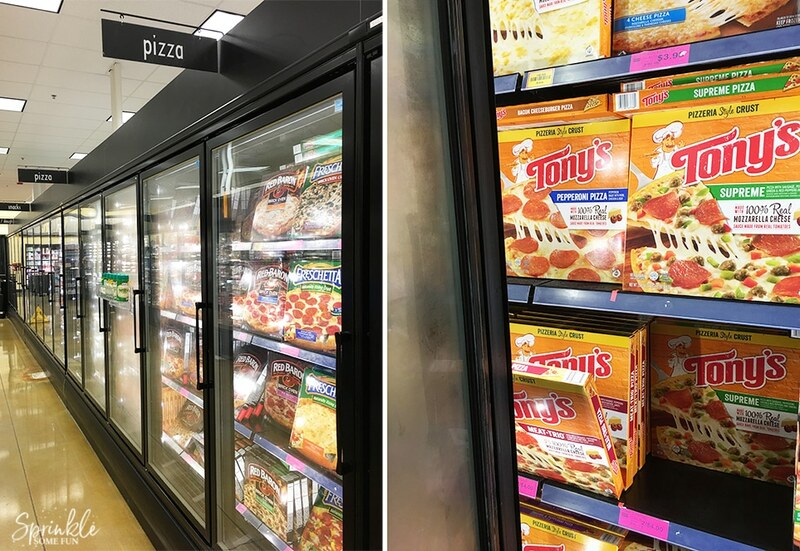 I like to serve up different varieties of Tony’s pizza like Tony’s® Pizzeria Style Pepperoni Pizza, Tony’s® Pizzeria Style Supreme Pizza and Tony’s® Pizzeria Style Cheese Pizza. I like to collect football themed plates and bowls which are always fun to set out for a post game celebration. This also makes it really simple for me when it comes time to display everything! The decorating is pretty much done and I just add the food. 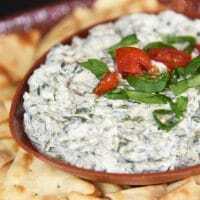 The Easy Garlic & Herb Spinach Dip goes great with Tony’s pizza and it’s a delicious set up. 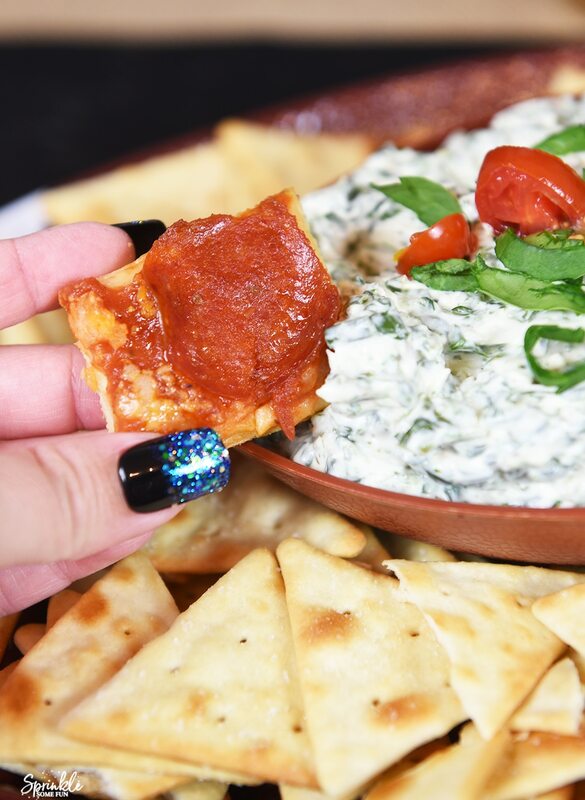 I find my Tony’s® Pizzeria Style Pepperoni and other flavors at Harps and all the ingredients to make the dip too. Put everything in a mixer to blend and mix on low. Serve chilled with chips, bread, pizza etc. 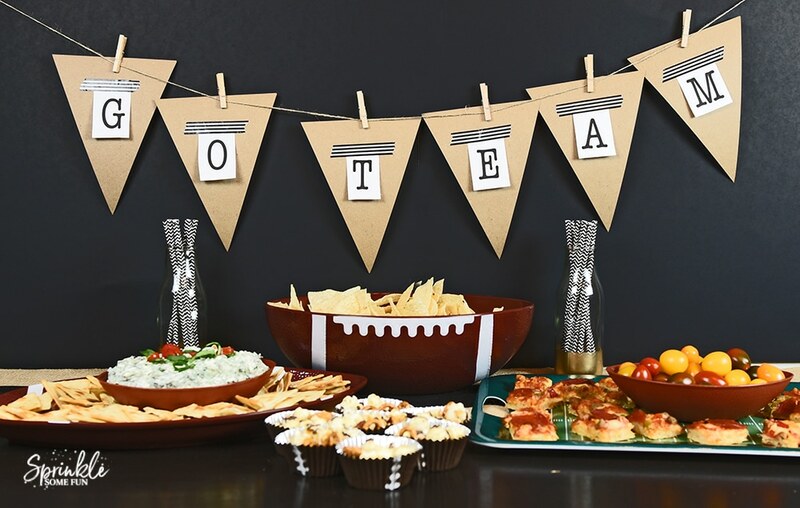 I think most high schoolers would love this post game party idea! 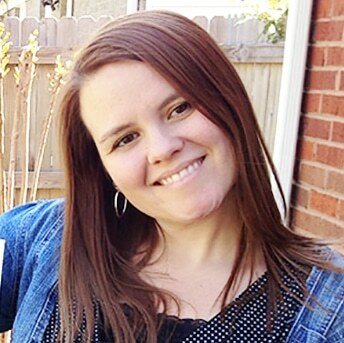 The snacks are easy to make and fun to eat. 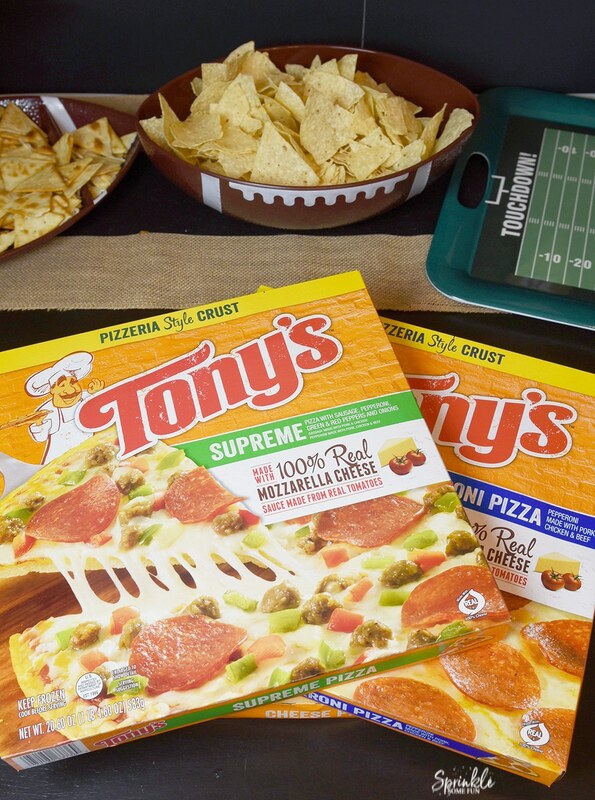 What would you pair up with your Tony’s Pizza?